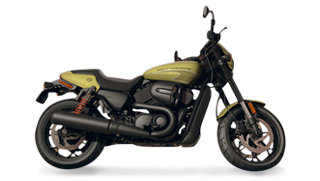 We will guarantee a new car of the Harley Davidson Motorcycle purchased at the HD regular sales network for 2 years. For details of warranty details, please contact your dealer. We will guarantee the purchased parts for 1 year. As with the vehicle purchased genuine P & A installed at the time of purchase of a new car, we will guarantee for 2 years. We will guarantee the original P & A purchased within 60 days from the registration date of the new vehicle for 2 years. We have attached warranty to H - D motor close products such as apparel and goods purchased on HD regular sales network. We support you to get on safely in the Harley Davidson Motorcycle forever. HARLEY │ New vehicle extended warranty ™ is operated and managed by Prestige International, Inc.
Harley Davidson official sales network guarantees according to the terms of HARLEY │ New Vehicle extended warranty ™. HARLEY | EXTENDED WARRANTY™ you protect the time you spend on your Harley® motorcycle. It's the only extended warranty custom designed for Harley® motorcycle riders. led less than 50,000 km, from an authorized Harley-Davidson® dealer, you'll be eligible to purchase a HARLEY | LEGENDS™ Warranty. *Genuine Harley-Davidson® Motor Parts means genuine peace of mind. by Swann Insurance (Aust) Pty Ltd ABN 80 000 886 680 AFS Licence No. The warranty program includes HARLEY | EXTENDED WARRANTY™ and HARLEY | LEGENDS™. Please refer to the Warranty Handbook available from your nearest dealer selling HARLEY | EXTENDED WARRANTY™ and HARLEY | LEGENDS™ for full terms and conditions. .